First, combine milk with lemon juice in a glass measuring cup or glass bowl. Set aside at room temperature for 10 minutes or so (while you are preparing the other ingredients). Next, in a medium bowl combine flour, baking powder, baking soda, salt, cinnamon, ginger, nutmeg and cloves. Mix until all ingredients are well evenly distributed. Set aside. In a large bowl, using a whisk or fork, combine pumpkin with beaten eggs. Mix until smooth. Sprinkle the loose brown sugar evenly over the pumpkin/egg mixture and stir in, mixing well. Add the milk/lemon juice mixture (it should be thick and clumpy as you pour it in). Add vanilla and melted butter. Add the dry ingredients (previously set aside) to the wet ingredients in 3 separate additions, stirring lightly and mixing well but not over-mixing. The batter should remain slightly lumpy. If chocolate chips are desired, add them now and mix until evenly distributed. Hint: I pour about 1/3 of plain batter into small bowl then add chocolate chips to the large bowl so we can both have plain and chocolate chip versions. Set batter aside to rest for approximately 5-10 minutes or so. Prepare your griddle, preheating it to approximately 350 to 375 degrees. You will know your griddle is hot enough when you finger drip water over the griddle and it immediately sizzles up. I use a cast iron griddle and butter as my lubricant, but you may choose to use your favorite griddle or pan and lubricant (butter, coconut oil, or cooking spray, etc.). Depending on how large you like your pancakes, pour 1/4 cup to 1/2 cup (or whatever size/amount you prefer) into puddles on the griddle. Allow to cook until golden brown on one side, then flip and allow the other side to cook until golden brown. The number of pancakes you get will depend on how big you make them. This recipe feeds our family of 2 large and hungry teenage boys + 2 adults and leaves quite a bit of leftovers. The leftover pancakes freeze beautifully. Simply let them cool then place in freezer bag(s). I use quart size freezer bags and put 4-6 pancakes in each bag so the boys can pull out a bag and finish it the same day. Be sure to remove as much air as possible when you close the bag. Place in freezer. Reheat pancakes in toaster. POPCORN AWESOMENESS–make your own microwave popcorn! Mind blowing…that’s what this was for me. Made in the microwave…no fuss…no muss…no nasty preservatives. You control the salt and all your favorite toppings! I have a weakness. Yes, quilts, fabric, threads, sewing and bicycles. But no, that’s not what I’m talking about now. I have a major weakness for popcorn. I always have. Salty, crunchy, (sometimes spicy) and always delicious. POPCORN. Make it sweet. Make it spicy. Make it buttery. Make it any way you want. Air popped popcorn just doesn’t cut it for me and who wants to clean up that funky machine? I love microwave popcorn…ummmmm. Have you ever checked out the ingredients for that stuff? Uggggh. Stove-top popcorn is awesome, but the cleanup is a hassle. 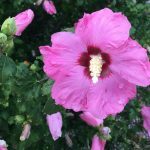 I need something fast, easy, inexpensive, relatively healthy (and OK…sometimes not so healthy if that’s what I choose) and inexpensive. 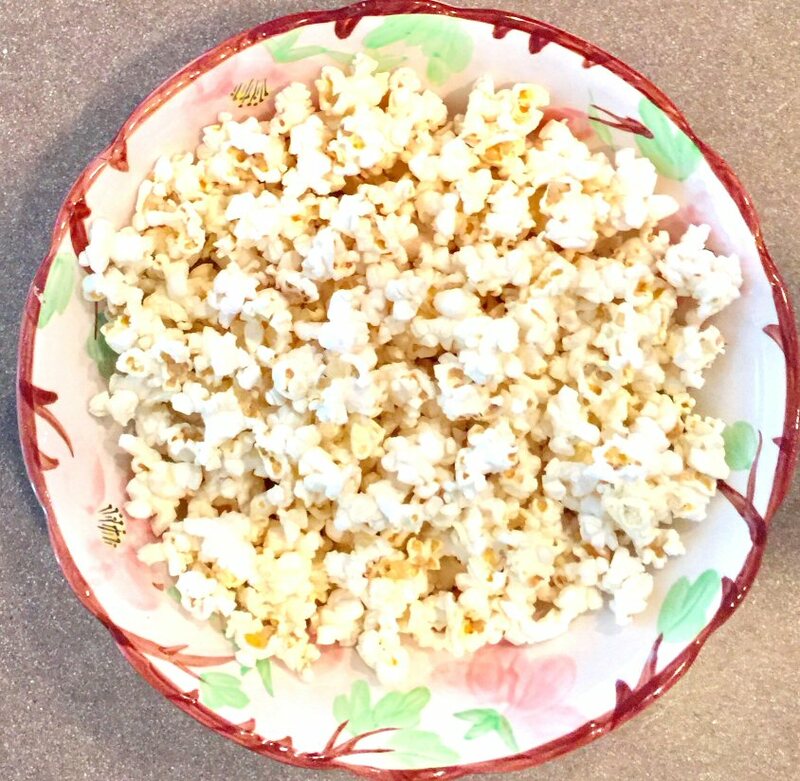 So, when I discovered I can make my own microwave popcorn I was…BLOWN AWAY! Place 1/4 cup popcorn kernels (I prefer organic of any brand, but use your favorite type and brand) in a brown paper lunch bag. Fold the bag down about 3 times with approx. 1 inch each fold; creasing firmly with each fold. Place in the center of the microwave and close the door. Press the “popcorn” button if your microwave has one. If your microwave doesn’t have a “popcorn” button, set it for 4 minutes and LISTEN CLOSELY. After your popcorn has started popping, it will be done when it goes approximately 3 – 5 seconds without making a pop. If you get to the end of 4 minutes and your popcorn hasn’t even started popping you either need fresh popcorn or a new microwave. Once popped, pour the popcorn into your favorite bowl and add your favorite toppings. Enjoy…amazing popcorn. Healthier. Tastier. And at a fraction of the cost. This is a Chapman Family Favorite — for parties, sporting event tailgate celebrations, potlucks, and any occasion. It’s also super easy to make. You can make it a day ahead of time too. Find a pretty container with sides to put your dip into. Sometimes I use a nice pie plate. Sometimes I use a plastic container that has a lid (especially when taking to potlucks and parties away from the house). Whatever container you choose, it should have sides at least 2″ high. First open the can of refried beans. Stir well, then spread evenly across the bottom of your pie plate or container. Peel, remove pit and mash your avocados then spread evenly over top of the re-fried beans. Stir sour cream then spread evenly across top of avocado layer. Pour salsa over top of sour cream layer; use a spatula to spread out evenly. Sprinkle grated cheese evenly over top of salsa. *Optional: Lightly sprinkle green onion and/or black olives over top of the cheese layer. Serve with your favorite brand of tortilla chips. Refrigerate any leftovers. ENJOY!!! It’s fantastic and your guests will love it. In fact, it’s so good Jared (18 y/o son) and I often finish off any leftovers for breakfast the next morning. Sew…with age comes certain “issues”. One of my own personal issues is blood pressure. Salt/sodium is a key player related to blood pressure. My own doctor recommends I stay at 1500 mg. or less per day. My blood pressure is under control with diet and exercise, but I have to be hyper-vigilant about reading product labels for salt (sodium) content. Seasoning mixes are notorious for being loaded with salt (sodium). One teaspoon of salt = approximately 2,325 mg.
United States Department of Agriculture (USDA): 2300 mg.
American Heart Association (AHA): 1500 mg.
Academy of Nutrition and Dietetics (AND): 1500 to 2300 mg.
American Diabetes Association (ADA): 1500 to 2300 mg. So, I’ve formulated my own delicious version that can be tweaked to your personal needs (or even made without salt altogether). Not only is it delicious, it is healthier and much less expensive than purchasing individual packets at the store. PLUS, I know EXACTLY what’s in it. The following recipe will make enough to season 8 pounds of ground beef, ground turkey or other meat (enough to make 8 separate meals of 1 pound of meat per meal/dish). I simply recycle/re-label an old spice container to hold my seasoning mix. NOTE: I generally use approximately 3 Tablespoons of seasoning per pound of meat. Adjust to your taste. Place ingredients in a large spice container (or small food storage container or jar), cover/seal with lid, and shake until well mixed. Be sure to label your container. Yep, it’s THAT easy! 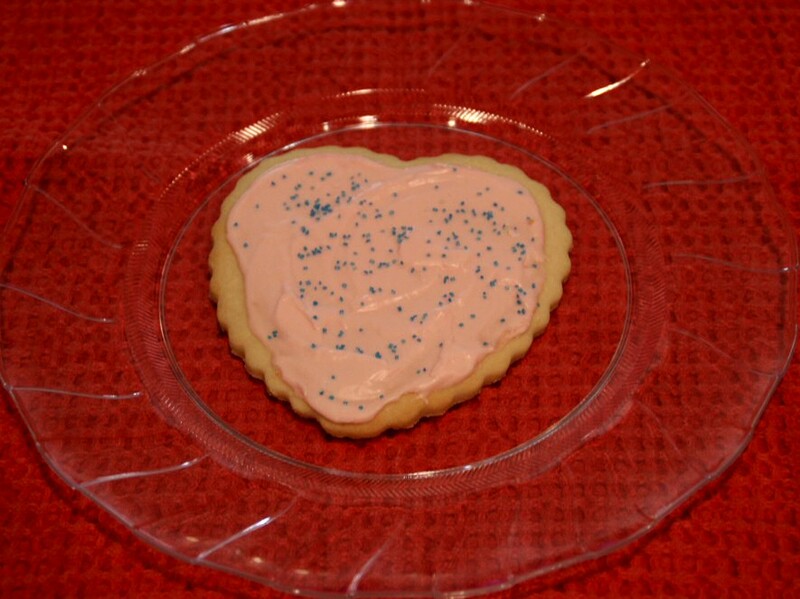 These delicious cookies are our family Valentine tradition. I make the dough — Jared & Jacob help me cutout & decorate the cookies. Once baked & decorated, these cookies never last long!! Click here for a printable file of the recipe. It’s a fun family project. NOTE: The recipe file link is a PDF which requires a recent version of Adobe Acrobat Reader, available for free from adobe.com . Click here for a printable file of the recipe. Allow butter & cream cheese to soften at room temperature at least 30 minutes. Combine flour and baking powder in a separate bowl until evenly distributed. Use an electric hand mixer, cream together the butter and cream cheese. Beat in sugar until well mixed. Add vanilla and egg, beat well. Use low to medium mixer speed and gradually add in flour/baking powder to the butter/cream cheese/sugar mixture. Mix until completely and evenly combined. Divide mixture into two even parts. Wrap each part in plastic wrap and chill in refrigerator approximately 2 hours or until easy to handle. Remove chilled dough from refrigerator. Roll out to approximately 1/8” thickness on a well-floured surface. Cut out heart shapes with cookie cutters. Place on un-greased cookie sheet. Bake at 375 for approx. 8 – 10 minutes (time may vary depending upon your oven, altitude, etc.). Remove from oven. Cool completely, spread with your favorite icing & sprinkles, as desired.